Preheat range to 350 degrees F (180 degrees C). Line two 9-inch (23-cm) round dessert pans or one 9x13-inch (23 x 33 cm) rectangular baking pan with parchment paper. Grease the report as well as the sides associated with the pan well. In a large blending dish, with an electric mixer, beat sugar and eggs collectively until somewhat thickened, about 1 min. Add flour, milk, oil, baking dust, and vanilla and beat for another minute, only through to the batter is smooth and creamy. Do not overbeat. Pour batter to the prepared cooking pan(s). Bake in preheated oven for 30 to 40 moments or until the tops tend to be fantastic and a toothpick poked into the center regarding the level comes out clean. (just one rectangular pan will require longer to bake than two round people.) 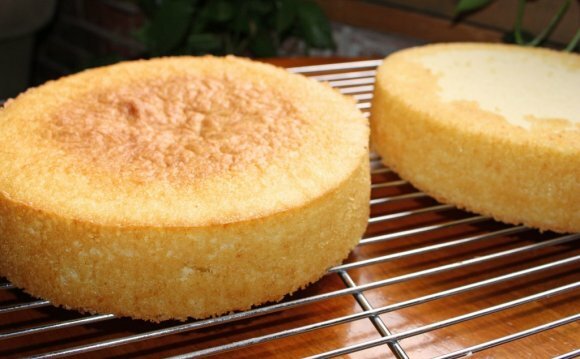 Loosen the edges of this cake from the cooking pan with a thin knife, then turn-out onto a rack and remove the report. Allow cool entirely before addressing with frosting.